Given a list of cities and landmarks it’s a no brainer to draw a line from Gateway Arch to St. Louis. But how about where to find one of the wackiest museum you are ever likely to encounter? Or how about a cathedral whose interior is covered with 41.5 million pieces of glass? The lines still go to St. Louis, MO, a fun-to-visit town just a short flight from Chicago, a half-day train ride or about a six hour drive. 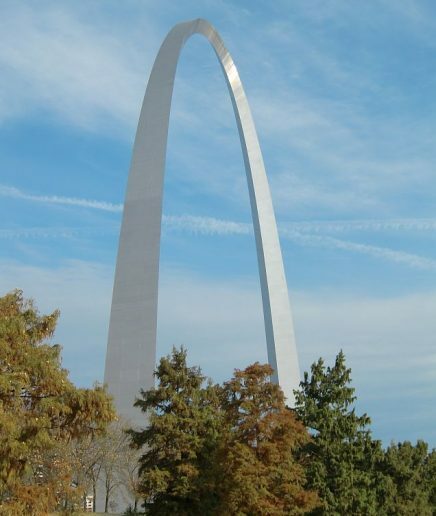 Certainly, if you have never been to St. Louis then definitely visit the city’s 630-foot high landmark Arch. It represents the gateway to the West. Don’t worry if you don’t take a decent photo through its weather-beaten windows at the top, but you will find that riding up there via a tram-car-enclosure is an experience. Now, the summer or fall of 2018 is a good time to visit the Gateway Arch and its museum about westward expansion at the base. 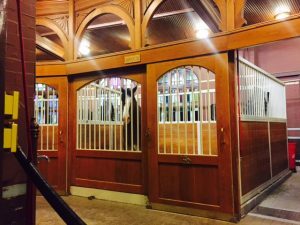 After being closed for the past few years, the museum just reopened July, 3, following a multi-million dollar renovation that also included the grounds. The newly done museum still takes visitors back in time but does so with even more life-sized figures, relics, old building replicas and dioramas of Native Americans, explorers, St. Louis scenes and pioneers. The Gateway Arch and Museum is at 11 N. 4th St., St. Louis, (877) 982-1410. 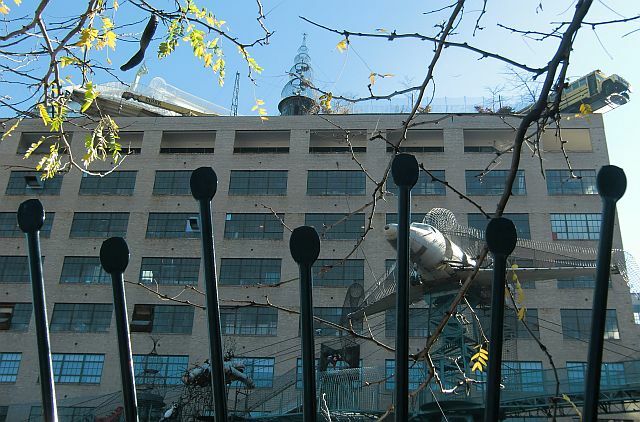 City Museum is out of the ordinary. The museum’s name, sounds ordinary. 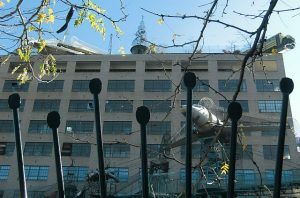 But as you approach the City Museum you can see from the planes hanging on the outside and the bus dangling over the roof or the Ferris wheel on top of the building that the name doesn’t begin to tell its story. Once the International Shoe Company, the building has been re-purposed the same as the recycled objects inside have been into a Disneyland-style fun house. Supposedly geared primarily to youngsters, it is just as entertainingly enticing to adults. See more St. Louis landmarks over on the Anheuser-Busch Complex. Three of the 137 structures there, the Administration built as Lyon School in 1868, the Circular Stable (think Clydesdales) dating from 1885 and the Brewhouse built in 1891, are on the National Register of Historic places. As with Chicago, St. Louis is a city of neighborhoods. But one of those areas, The Loop, has a funky street that will have you thinking you stepped back into the 1950s. It’s Delmar Blvd., a road where a trolley that used to “loop” around, clangs down the center of the street, where the Moonrise Hotel has 1950s furnishings inside and a revolving moon on its roof, where Fitz’s serves up wonderful root beer floats and where the Blueberry Hill Restaurant & Music Club celebrates rock ‘n’ roll legend Chuck Berry with photos, a juke box, collectible paraphernalia and live music. As if the moon might feel lonely in the Delmar firmament, Jupiter is also on hand. Look for it on the Delmar Planet Walk. There is also another walk. Its where you can see if you know all the famous people, such as Yogi Berra, Robert Duvall, T.S. Eliot, Marsha Mason, Sara Teasdale and Tina Turner, who were either born or lived some time in St. Louis. It’s the St. Louis Walk of Fame and of course Chuck Berry has a star on the walk. 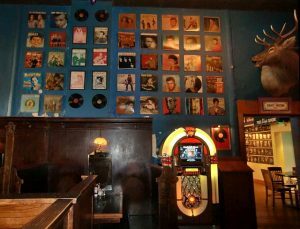 The Blueberry Hill Restaurant & Music Club is at 6504 Delmar Blvd, St. Louis, (314) 727-4444. 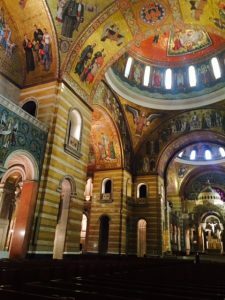 It’s not possible to keep from saying OMG when entering the Cathedral Basilica of Saint Louis, also called the New Cathedral. The inside is a work of art that took from 1912 to 1988 to complete because 41.5 million glass tessarae pieces were installed. 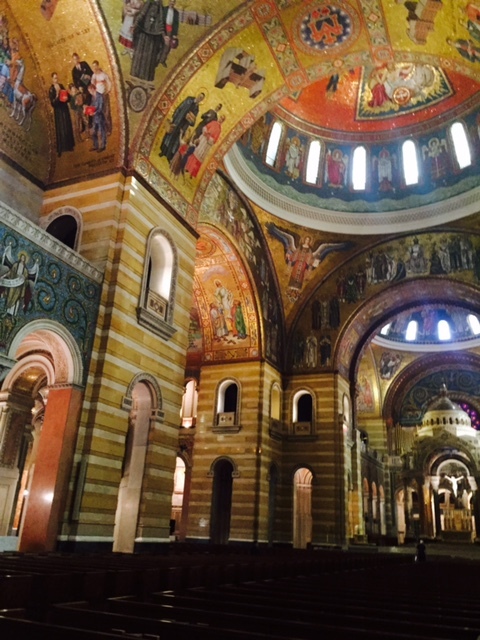 Considered the world’s largest mosaic collection outside of Russia, it includes the Tiffany designed mosaics on the sanctuary walls and inside chapels and August Oetke-designed mosaics in the main cathedral areas. For more St. Louis places and information see Explore St. Louis.